Here is my job talk for CU Boulder’s Education Librarian position. I worked at the wonderful Boulder Book Store for five years. I tried out pretty much every position I could: bookseller, special orders department, author event host, floor staff coordinator, and sidelines buyer (I still miss the yummy chocolate samples!). While my LIS classes in ethics, database searching, and digitization provided wonderful training, I’ve come to see that there was a lot of value in what I learned as a bookseller: how to transform patrons into library evangelists. I think these simple strategies go a long way towards easing library anxiety for students at my community college and encouraging regular use of our services. #1 treat your customers/patrons/students as if your survival depends on them. Because it does. Bookstores realize that customers can easily go to Amazon.com or Barnes & Noble for books. Independent bookstore prices aren’t usually better than the competition, though we tried to complement our new books with nice used copies and remainder books. We knew that customer service and the store’s community atmosphere were our only advantages over big box stores and online retailers. What customers are looking for in a physical bookstore is that interaction with people who also love to read and a lovely environment. In academic libraries, our competition comes in the forms of Google, Google books, or Yahoo answers, among others. When students contact us, they are looking for that human connection and advice, as well as a pleasant place to study. These are both huge opportunities to create positive experiences. #2 be happy to see them. Look up, smile, and greet everyone who walks in the library doors. Sounds simple, but makes a huge difference, especially for people (like me) who would rather try to find it themselves. Creating that small positive interaction lets students know that they can come back and ask a question if they have trouble and they can count on a friendly reception. When you walk around and see someone with a confused look, ask, “What can I help you with?” This leaves the question open-ended and is more likely to generate a real response. Asking “Are you finding everything?” or “Do you need help?” is more likely to generate a quick ‘no,’ regardless of the true answer. #3 know what people want. Reader’s advisory is part of daily life. Rather than having reader’s advisory specialists, every person working in the bookstore was empowered to have a conversation with a customer about their reading interests, habits, and how to find their next favorite book. This is an extremely personalized service model. To be successful, staff must keep minimally up to date with popular books and series so that you recognize when people are asking for, “that red book about the dog?” they likely mean The Curious Incident of the Dog in the Night-time. Public libraries probably do this innately, but it’s sometimes more of a stretch at academic libraries. I found in the past year that I am definitely guilty of not knowing about popular books in certain genres–mysteries, especially! #5 treat referrals like gold. Conversations are how students and faculty let others know about great service via word of mouth. They’ll say, “Go see so-and-so at the library. They were super helpful in my last assignment and they’ll take care of you.” When another student, faculty member, or service on campus recommends your library, treat that referral like gold. This is how good vibes spread, especially if your library has struggled to be visible on campus or show value in the past! The inverse is true–avoiding impersonal hand-offs to other departments or staff is important. We regularly walk lost students to other offices on campus, just to build a positive impression for the future. We think that actions like this contribute to student retention at our school and a reputation as a very hospitable campus. A co-worker of mine and I just participated in a Mental Health First Responder course, offered through Mental Health First Aid Colorado network, part of the larger national Mental Health First Aid group. The groups’ aims are to have many more people complete Mental Health First Aid Responder training, similar to CPR and other first aid trainings. The training covered signs and symptoms for common mental health issues: depression, anxiety, panic attacks, suicidal thoughts, psychotic disorders, and substance abuse issues. The course emphasizes that mental health first aid is first and foremost a bridge to professional mental health resources. Yet the course gave practical, down to earth recommendations for compassionately talking with friends, family, (or patrons!) dealing with these issues. I thought it was particularly helpful that our instructor discussed mental health in terms of a spectrum–that many mental health disorders are manageable with treatment–and gave clear definitions of when a mental health issue needs to be addressed with professional help, usually when the symptoms starts to interfere with work, home, relationships, or a person’s normal activities. The course also addressed the very real mental health stigmas in our culture. I thought it was particularly interesting to hear that on average, it takes someone suffering from a mental health issue eight or more years of struggling on their own before they seek treatment (Wang, Berglund, Olfson, Pincus, Wells, & Kessler, 2005). And that when people do seek treatment, they are much more likely to focus on describing any physical symptoms rather than emotional ones. Some of the other statistics presented painted a very different picture of mental illness compared with what we see on tv and other media. The training handbook cites Kessler, Berglund, Demler, Jin, and Walters (2005), saying that more than half of American adults will experience some type of mental health issue at some point. The program teaches an acronym for mental health first aid steps that is similar to CPR’s ABC. The ALGEE acronym stands for Assess for risk of suicide, Listen non-judgmentally, Give reassurance, Encourage appropriate professional help, and Encourage self-help and other support strategies (Mental Health Association of Maryland, Missouri Department of Mental Health, and National Council for Behavioral Health, 2013). 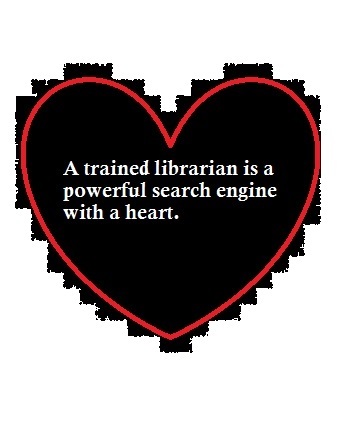 My cohort was primarily other librarians from public, academic, and specialized libraries. It was really interesting to me that the public librarians had no qualms about whether conversations with patrons on mental health issues were part of their jobs. A colleague mentioned that Denver Public Library is hiring a social worker and quite a few other public libraries have done or plan to do so soon. Yet among the academic and special library folks, I think many of us experienced a hesitancy– that mental health first aid was maybe “none of our business,” outside of our boundaries as professionals, or that our ethics of impartiality protect/prevent us from having these conversations. I was glad that our instructor underlined the importance of boundaries and your own comfort level when attempting to offer help to others; yet she made it very clear that caring for our neighbors, our patrons, and those in our community is something every person can, and probably should do. Also that checking in with someone or having a conversation about what they need to feel better is a very human thing to do. These conversations needn’t be stressful or scary when prepared with the courses’ techniques. I would highly recommend this course to anyone–and I think it would be particularly valuable for librarians and educators. Kessler, R.C., Berglund, P.A., Demler, O., Jin, R., and Walters, E.E. (2005). Lifetime prevalence and age-of-onset distributions of DSM-IV Disorders in the National Comorbidity Survey Replication (NCS-R). Archives of General Psychiatry. 62, 593-602. Mental Health Association of Maryland, Missouri Department of Mental Health, and National Council for Behavioral Health. (2013). Mental Health First Aid USA, Revised First Edition. Lutherville, MD: Mental Health Association of Maryland. Wang, P.S., Berglund, P. Olfson, M., Pincus, H.A., Wells, K.B., and Kessler, R.C. (2005). Failure and delay in initial treatment contact after first onset of mental disorders in the National Comorbidity Survey Replication. Archives of General Psychiatry. 62, 629-640. A 2009 study found that by gazing at their dogs pet owners can increase their oxytocin levels, thereby improving their overall mood. ACC Librarians concur! Students, faculty, and staff who attended our March 10 Therapy Dogs event left with big smiles and reduced stress. Gidget, Lambchop, Rosetta, Franz, Vitas, and Oboe are therapy dogs or guide-dogs-in-training. Their owners volunteer at Littleton Adventist Hospital or raise puppies for Guide Dogs for the Blind. We’re excited to have them back again during finals week!